Home Car lights are too bright? Answer is no. When auto lighting claims to be the brightest on the market, it doesn’t necessarily mean you are getting a better product. This is just like audio manufacturer claims of high wattage, without mention of the RMS rating, or usable power. There is another important factor to consider other than just lumen output or bulb temperature, and that is the beam pattern. Scouter in Chennai offers various head lights, LEDs have really evolved in the auto lighting market from just interior decoration accents to full-use exterior lighting solutions. LED lighting has some serious advantages over the previous champion of auto lighting- high intensity discharge (HID) lights. 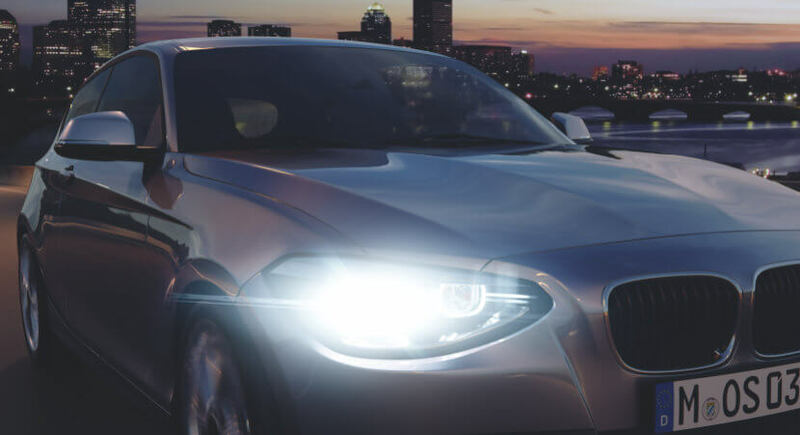 LED headlights will be the future of automotive lighting. By eliminating dark spots, short beams and non-linear beams they can provide superior illumination in a more effective pattern. Scouter offers Philips, Hella , Osram and other imported DRL lights in Chennai. Day Running Light Functions as better visibility for oncoming vehicles especially in low light condition. Also, enhances the visual appeal of car. DRL are known for adding on styling element too. However for Indian road conditions – there is Ample Sunlight in most of locations in India . The visibility gets lower only for some handful of days of winter season. So – if you care for an additional safety for drive having lower the visibility of Sunlight, Day Time Running Lights may just be useful and can be an additional safety feature. DRL does not Illuminate the road while driving,. The Glare is not so strong as it blinds the driver on other side , DRL does not impact in Car Battery Life . Scouter decorates your Car interior with lights. LED lighting in cars is refreshing, attractive and pleasant, and has an appealing contemporary , WE offer Hella and Osram brands in Chennai. Scouter offer in Chennai, Projector Headlights with sequential DRL With Fluorescent Eyes .Projectors with eagle eyes on Audi DRL. I’m more than happy to discover this website. I want to to thank you for ones time just for this wonderful read!! I definitely appreciated every bit of it and i also have you bookmarked to see new things in your blog. I just like the valuable information you supply to your articles. I’ll bookmark your weblog and check once more here regularly. I am slightly certain I will be told many new stuff right here! Good luck for the following! You actually make it appear really easy along with your presentation however I find this matter to be actually one thing which I feel I’d never understand. It kind of feels too complicated and very large for me. I’m having a look ahead in your subsequent post, I’ll attempt to get the grasp of it!